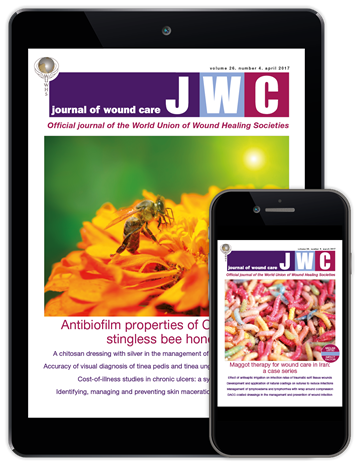 Journal of Wound Care (JWC) is the only monthly, international journal dedicated to healthcare professionals specialising in tissue viability and wound management. 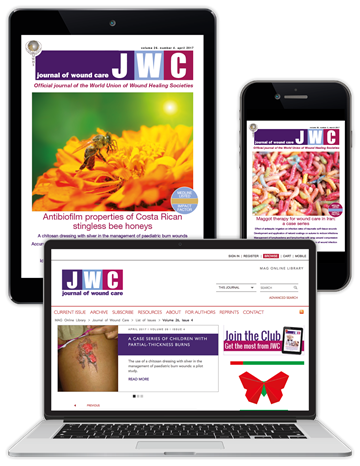 PubMed-listed with an Impact Factor, every issue of JWC contains high-quality and up-to-date clinical content, providing a trusted evidence base to inform advanced knowledge and skills in wound care. 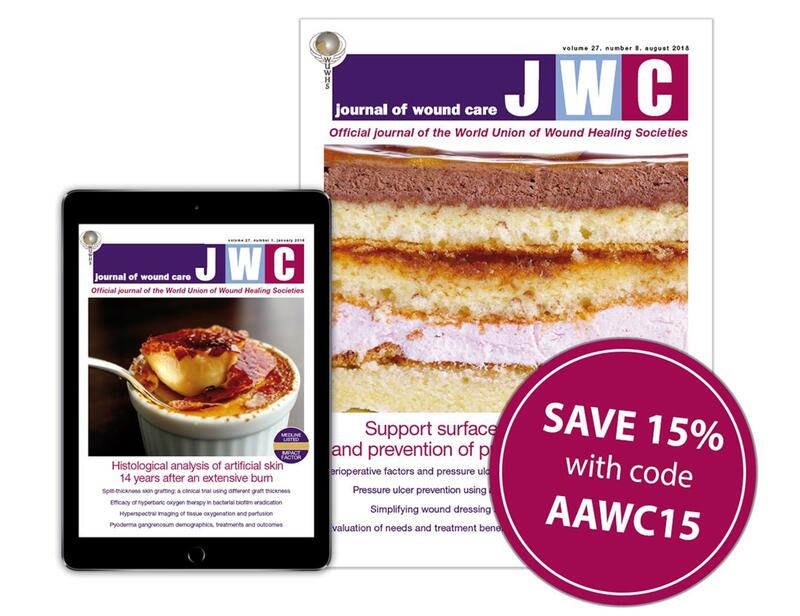 All members of the Association for the Advancement of Wound Care are entitled to a 15% discount on their subscription - a saving of up to $37 per year. 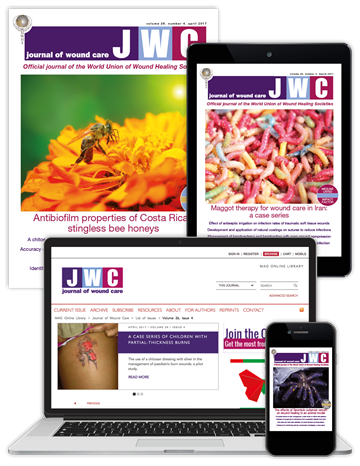 To claim this offer, select your subscription option below, quoting code AAWC15 when prompted at the checkout.